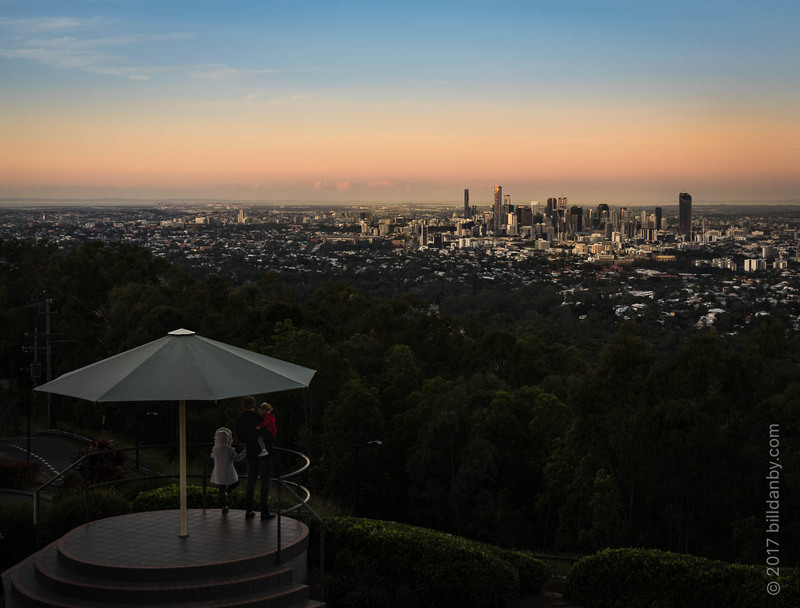 On Friday I was up at the Mt Coot-tha lookout. Most people go there to look out over Brisbane. I go to look a the people looking out at the city. It's near to where I live. It was, however, quite busy as there was wedding party up there — there's also a restaurant, so that's quite common. It was crowded and I don't like to do anything that might intrude, so I was lucky to get the picture above. I have no idea whether the family in the picture were a part of the wedding.